This recipe has been in our family for decades. 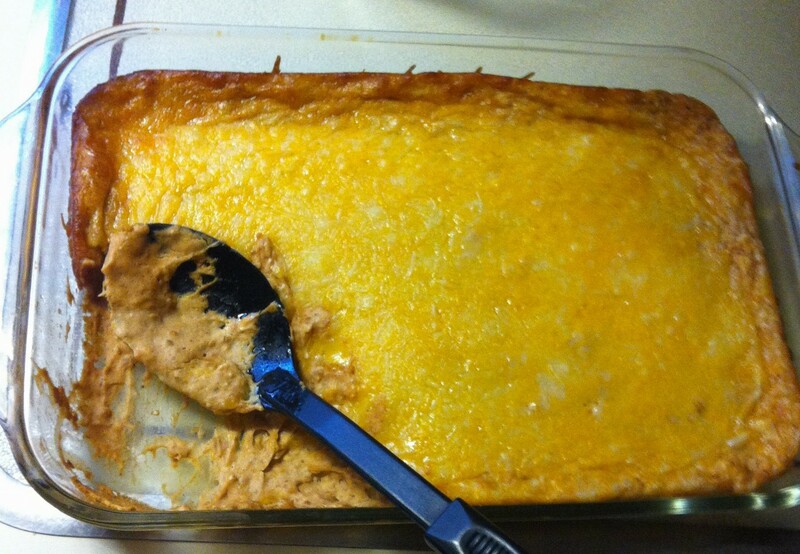 I’m not sure where, exactly, it started, but what I do know is this is the dish that all of our friends would ask our dad to make whenever we had a party or sleepover. 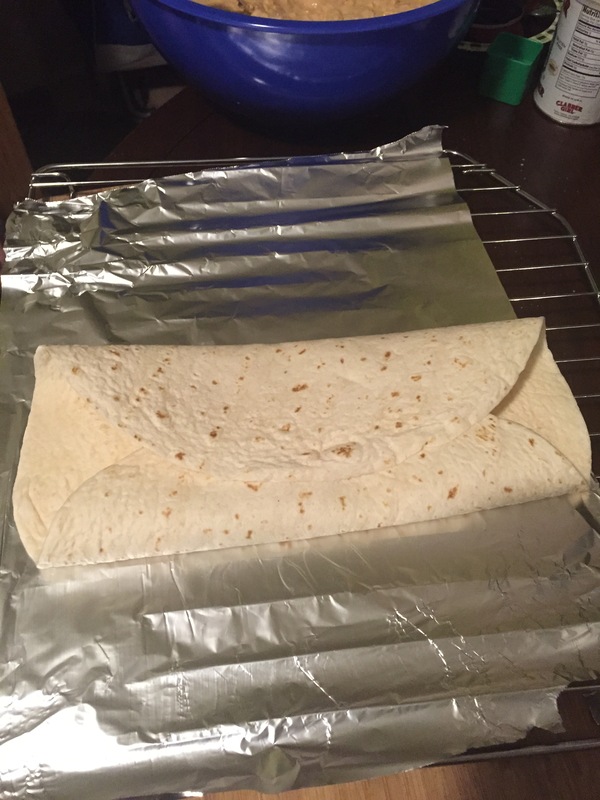 Since starting my own family I’ve tweaked the recipe just a bit and turned it into the best burrito you’ll ever make. My family loves it and it’s become a staple meal in our house at least twice a month. It’s also one of the few dishes my wife and I make that our super picky 4 year old will eat without complaint. Trust me, that’s a ringing endorsement. 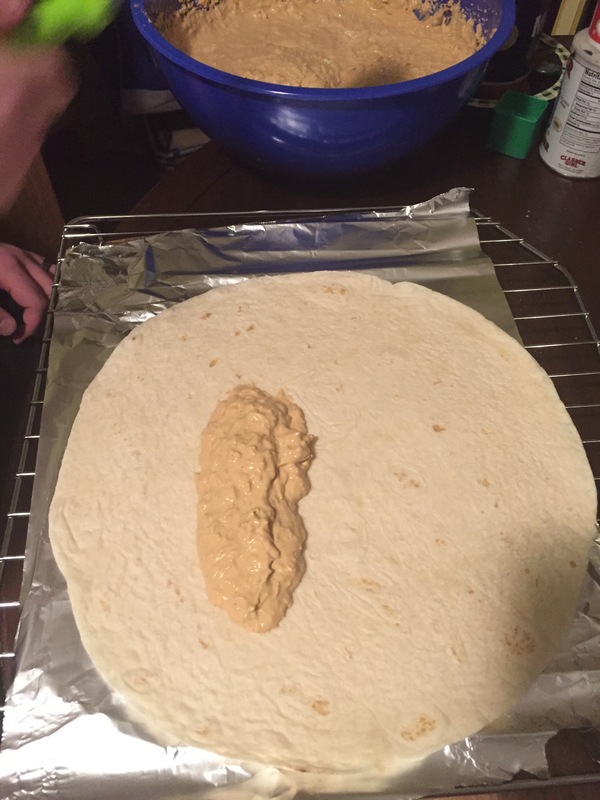 The set up is the same whether you want to make the dip or the burritos. Preparation for either dish is super simple. Preheat your oven to 350 degrees. 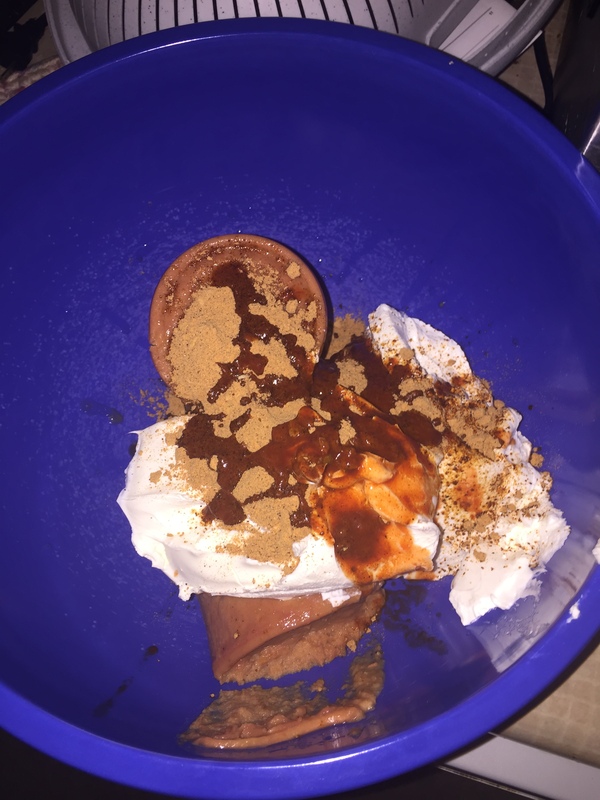 Add the refried beans, cream cheese, sour cream, hot sauce (starting with 20 drops) and enchilada mix into the mixing bowl. 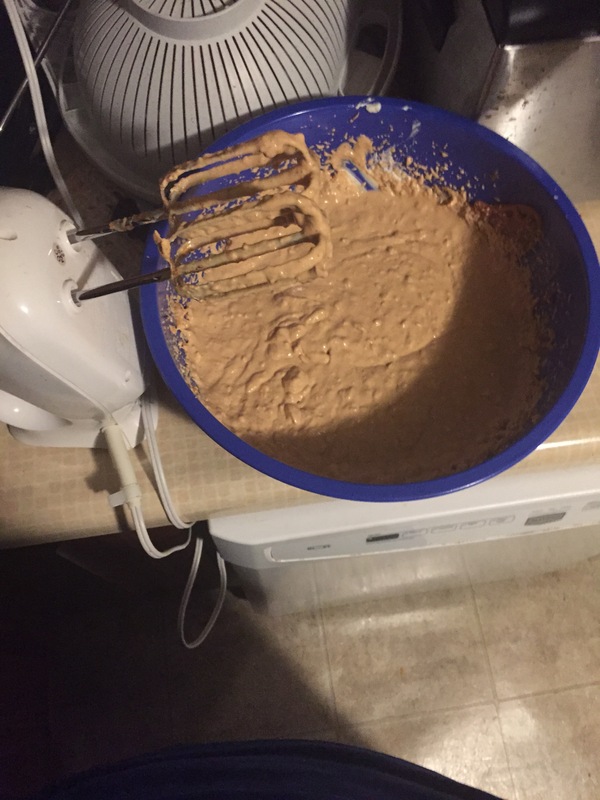 Blend using the hand mixer until the cream cheese is thoroughly blended. Here is where you’ll want to do a small taste test to determine if you want to add more hot sauce. This is entirely dependent on personal preference. My family likes spice so we usually do 30-35 drops. Next add 3 of the 4 cups of cheese and blend with the rest. 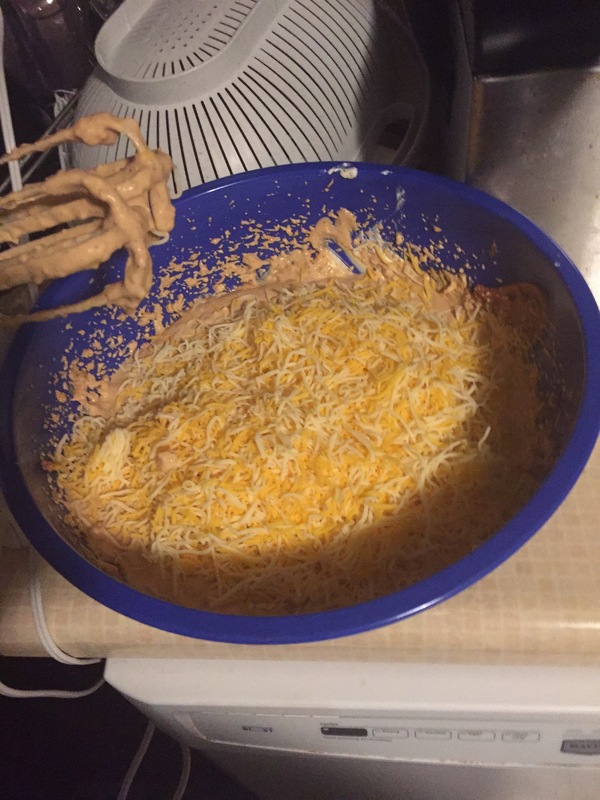 Spoon the mixture into the casserole dish and top with the remaining cup of cheese. Place into the preheated oven and cook for 25 minutes. Let cool for a few minutes and then serve with chips. Party! 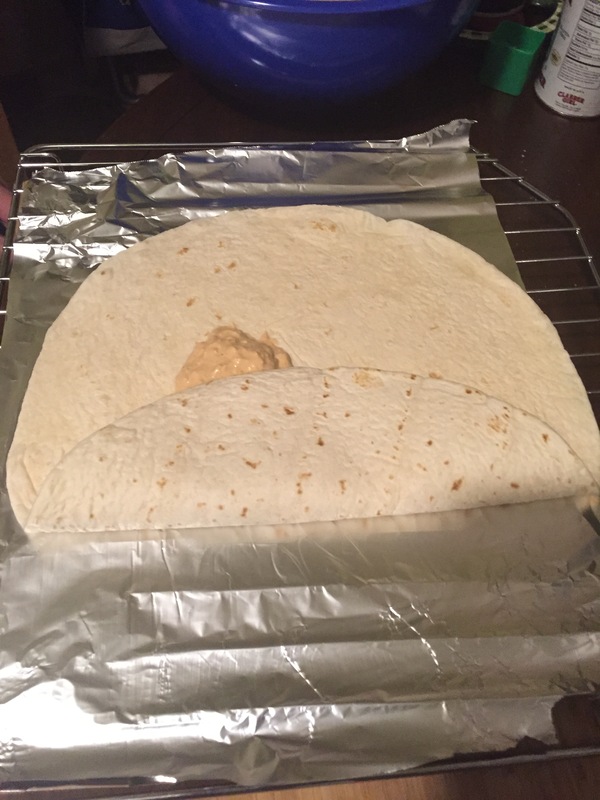 Spoon the dip in a straight line horizontally across the lower third of the tortilla, giving yourself enough room on either side and on the bottom for folding. 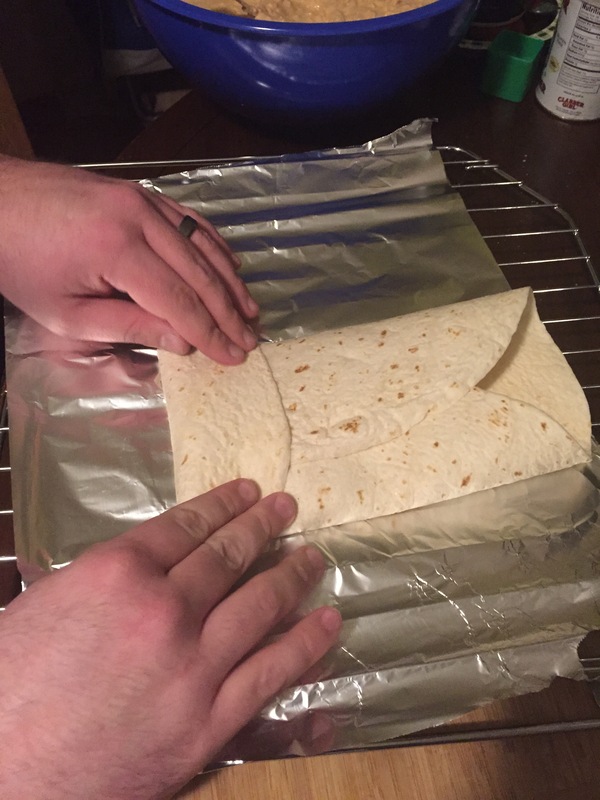 Fold the left and right sides in towards the middle, and then roll up from the bottom. 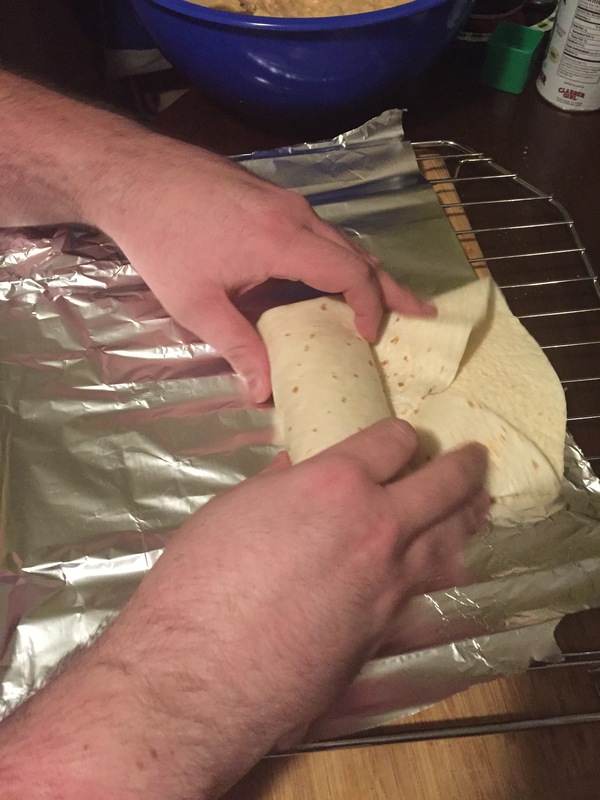 Place each burrito on the cookie sheet/baking sheet/whatever that you lined with tin foil so that they’re touching each other and then sprinkle the remaining cheese on the top of each. 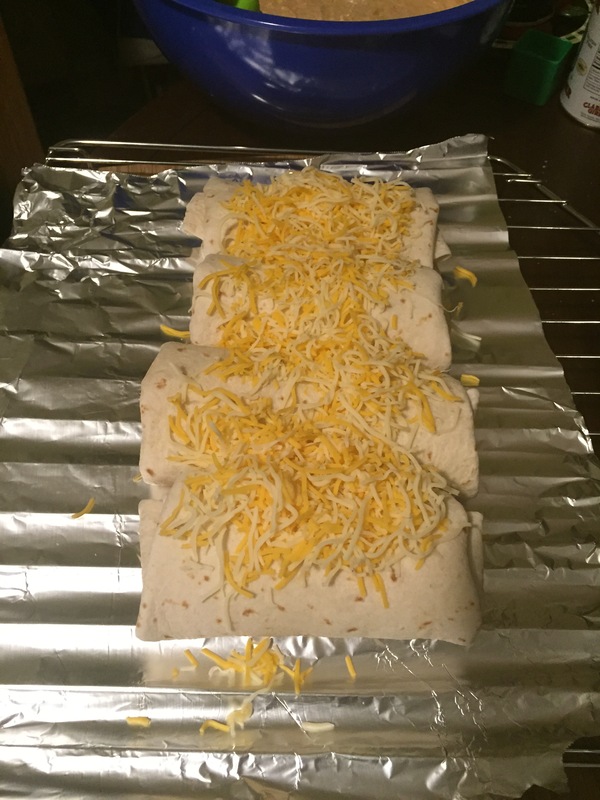 Place into the preheated oven for 25 minutes. Party! 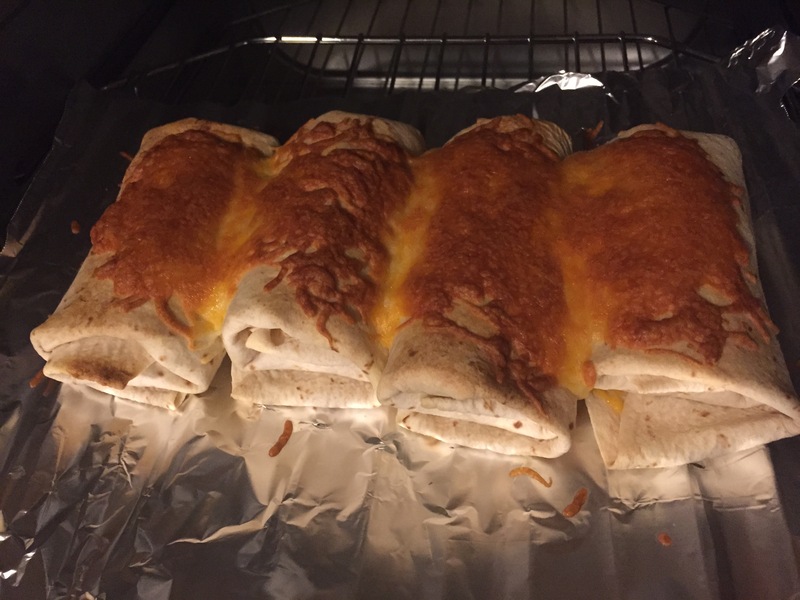 Bonus: If you have a fryer you can make chimichangas by deep frying the burritos instead of baking them.